For a number of years I’ve written small dedications to you, in some form or another. Every year it seems that with a new accomplishment in my life, there’s a small sadness attached because you weren’t here to share in that joy. We are now in year 10, and my emotions still are all over the place when I think of you not being here. I never imagined there would be things we wouldn’t share together. I never imagined you not seeing me walk down the aisle with a man I loved because he was just like you. I never thought you wouldn’t see me obtain a Masters degree. I never thought you wouldn’t get to see your first born great granddaughter. This is what hurts the most, because she would love you…she would make your eyes light up and your whole spirit would be elated with her presence. She is that special. The physical presence is what I miss the most. I still hear your laugh when I do something silly. I still laugh at how little you contribute to a conversation, but that’s your nature; still, quiet and only willing to talk when you felt like it. I guess you brought meaning to the term “unbothered” lol. 10 years is a long time to live without someone. I know people who have lived without their loved ones for much longer, but you were the first person I lost that I was significantly close to. Someone I saw regularly and spent time with regularly was taken from me early one morning while I was away at school. I left Hinesville to attend college, feeling confident that I would see you again when I visited, that you were strong enough to see me finish and that you would get better; however, it didn’t go quite as planned, as there was a bigger plan at hand for you to not have to endure that pain, and one day you suffered no more. I don’t talk about my grief very much to anyone. Few people know truly how I feel, but no one (seriously) knows the impact that you’re physical absence has on me. It’s something I’ve chosen to keep hidden from a lot of people, for no particular reason. I’ve preferred to keep it that way, but with this making 10 years since your passing and me not really discussing it, I feel the need to tell you how I feel. There are days when I’m fine, life moves forward with no interruptions. I raise Kynn, I support my family, and everything is pretty normal. Then there are days that I pass by grandma’s house. Or that store you would walk to. I want to see you sitting outside of that store eating those nasty Moon Pie’s you seemed to love so much (sheesh lol), or sitting on your porch in the rocking chair, or walking up the street. These things were normal, these things I wish I could see again. If I could have you back, it would bring my heart unending joy, because there’s so much I want you to see; so much I wanted you to be present for. I wish you could see Kynnedy and Preston; they are complete angels. I wish you could meet Brandon, because he’s a sweetheart, just like you. I wish you could see me doing well, making you proud of me. I wish I could give you a hug, hear you laugh, or just sit around you and not do a thing. I’d even try that whole sleeping under the tree thing (something I never understood but do you grandpa, lol). I say all these things, and it still doesn’t measure up to how much I miss you everyday. All I ask is that you continue to watch over me. Keep smiling, keep laughing. Never stop having my back. Let me know if I’ve made you proud, I sure hope so. I love you Leroy Henry Izzard, Jr. I miss you terribly, and may you continue to rest on, until we meet again at the Sizzler, with a plate full of chicken and fatback. 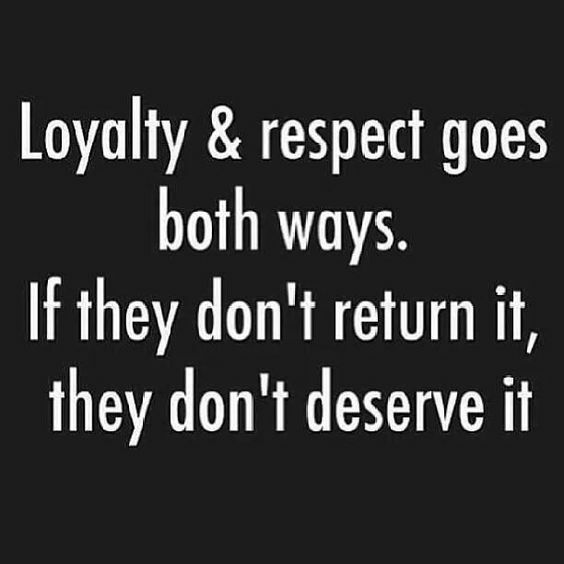 Loyalty: The Gift We Give Too Easily. While I was listening to one of my favorite podcasts, The Friend Zone, I heard a really deep question that had to make me think for a while today. The topic of discussion was around loyalty and this question really resonated with me on many levels. I decided to gather my thoughts and write my own personal response to the question, and pose it to all of you to get your insight on how you feel about the topic as well. How many times have you been loyal to a person when you felt that person was undeserving of your loyalty? Can crumble with the burdens of negativity. From one book nerd to another! Here are six quotes to motivate you to read! Brought to you by Daily Prompts. I found another motivating quote pic on Instagram this week, and it resonated with me in a way that I needed to add a few motivational words to it for today. I can’t count how many times I have said I was going to take the chance to do something great, and get stalled at point of fear. The fear of being rejected for your ideas, the fear of failure, the fear of not being positively supported will take a very big toll on you and cause you to question yourself; and your ideas and your chance to be great will be stunted by your inability to push through the barriers. 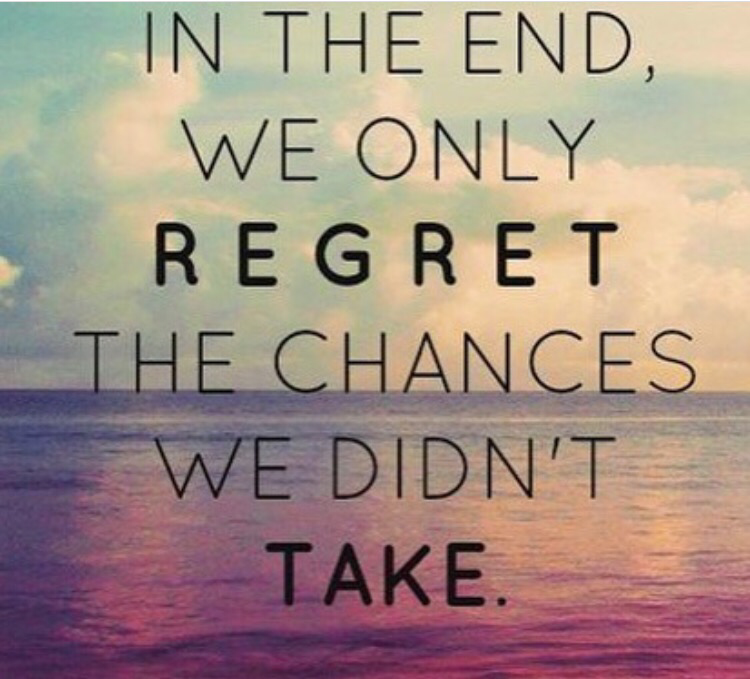 In the end, you give up; and in the future, you begin to regret those chances you didn’t take when you had the chance. I try my best to not live in the mentality of regret. I make a conscious decision to do something or not to do something, and I find peace with that decision. Living in regret will only cause you more pain, you will begin to have self-doubt about future goals and opportunities, and it’s just not a fun way to live life. I think we should all take heed to that gem of a statement.